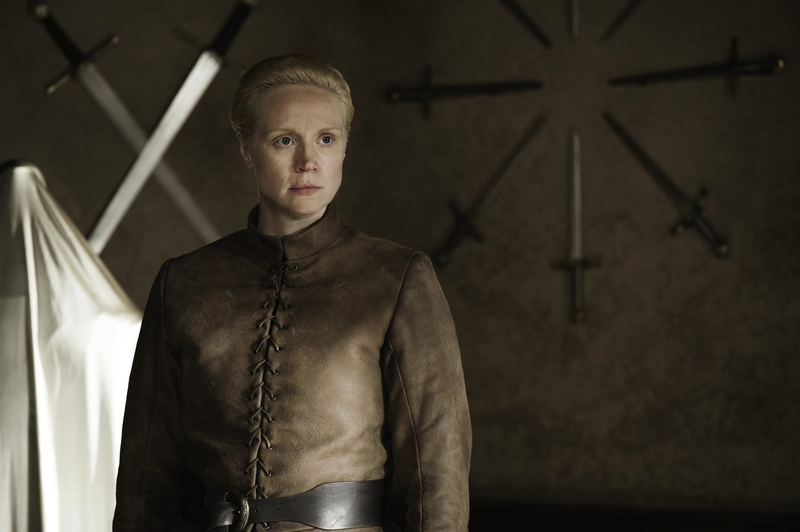 The reason behind the name of the April 27 episode of Game of Thrones, “Oathkeeper,” became obvious about halfway through the show: Jaime Lannister gives Brienne his Valyrian steel sword — a sword he can’t make proper use of now that he’s missing a hand — and sends her off to keep their promise to find the Stark girls. “They say the best swords have names,” he tells her. What will hers be called? Oathkeeper, natch. Thus Oathkeeper joins a long line of great Thrones swords with names — like Ice (Ned Stark’s sword, and the source of the steel for Oathkeeper), Widow’s Wail (the other sword made from that steel, which went to Joffrey as a wedding present), Needle (Arya’s blade), Lightbringer (Stannis’ enchanted sword) and Longclaw (the Mormont sword). Though those legendary swordsmen don’t approach Thrones levels of obvious fiction, the line between medieval folklore and medieval history can get a little blurry when it comes to famous swords. As for King Arthur, for example, historians are still unsure exactly how much historical fifth-century truth lies behind the stories of the king himself — much less his sword. Swords and scabbards with inscriptions are in the historical record, but many of those inscriptions are merely the equivalent of a name tag in a jacket or the stamp of the craftsman; as for Westeros-worthy names like Oathkeeper, historians have a chicken-egg problem with the myth and the reality of sword-naming. Which came first? As Hilda Ellis Davidson explains in her book The Sword in Anglo-Saxon England, literature and folklore have helped pass down the names of famous swords through the ages but it’s “hard to determine how far the naming of swords was a literary convention only, and how far it existed as a practice among Anglo-Saxons and Vikings of an earlier period.” The further along history goes, the less doubt there is — a real Joyeuse can be seen in the Louvre, though its oldest parts are dated to the post-Charlemagne 10th century — but even then the source of the tradition is cloudy. Whatever the source, sword-naming started to taper off by the time the Middle Ages were ending — until now, thanks to TIME’s handy Game of Thrones sword-name generator. Get yours up top.